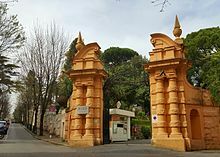 LUISS is an independent university created out of a pre-existing Roman institution, Pro Deo, between 1974 and 1978. LUISS has four departments: Economics and Finance, Business and Management, Law, and Political Science. It also has four Schools for graduate and professional studies: the LUISS Business School, the School of Government, the School of Law, and the School of European Political Economy. There are currently 8,664 students and with 197 partner schools in 39 countries, there are over 1,000 students who spend a semester studying abroad. Known as Italy’s Harvard, Università Commerciale L. Bocconi, was founded in 1902, and is the most reputable private university in Italy. It is the nation’s first institute of higher education that conducts studies in economics, and is one of the most important universities in the world, for its fields in law and business administration. 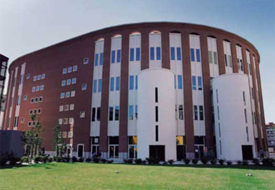 Currently, it is recognized as Italy’s top university in economic and business studies. In the most recent Executive Education Ranking 2008, published by Financial Times, the school was highly placed at No. 18 worldwide (http://rankings.ft.com/executive-education---open). And its SDA college, with constant advances in worldwide rankings, was awarded No. 48 in Financial Times’ Full-time Global MBA Ranking 2008 (http://www.ft.com/businesseducation/globalmba2008). Bocconi finds great importance in promoting its school internationally, partnering with more than 200 sister schools around the world. Recently, due to the rise of emerging markets in Asia, the school recognizes the growing importance of maintaining relationships with esteemed schools in Asia. Therefore, it has formed partnerships with 26 Asian schools, and offers exchange programs and dual degree programs with its sister schools in China; Bocconi is a very active university in the Asia region.